Designed to provide flexibility in spacing pedals while preserving tone, the Lava Mini Coil features a 99.99% oxygen-free low strand count copper conductor, right angle G&H Show Saver Plugs and low noise due special layering and a proprietary outer jacket, the company says. The Lava Magma cable is designed for stage use. Lava Cable has released a new improved version of its Retro-Coil cable. Lava Cable introduced The Lava Cable Center featuring solder-free plugs and cable combinations. 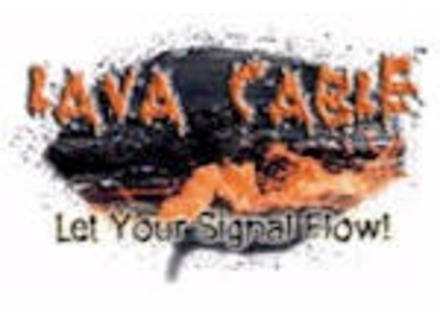 Lava Cable releases a new solder-free right angle plug.